Happy Labor Day to all you Americans out there. Hope you had a wonderful time with friends and family. Can you believe that BoS USA is just under a month away? Do you want to get your brand represented at #BoS2018 for free? 200 characters explaining what your company does. Note that this is only available to companies that are attending BoS USA. If you're planning on attending, send the email and book your ticket. First come, first served - simple as that. Click that button and go! A little known fact about the Business of Software Conference is that every year a group of people attend BoS for less than $20. And you could be one of them this year. 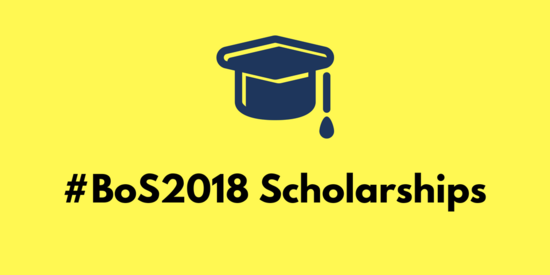 The BoS Scholarship Scheme helps deserving members of the Software Community attend the conference for a nominal fee. We're under no illusions that tickets to BoS are expensive, and that there are reasons people can't afford tickets right now. Maybe you're running an early stage startup, or you're fresh out of college, or there's just not enough room in your budget to pay for both a hotel room and conference tickets. If you want to find out more about getting a Scholar's ticket yourself, or to recommend to a friend, click below to find out more. Applications close soon - don't miss out. Bridget Harris is the CEO & Founder of YouCanBook.Me - a simple online scheduling tool which handles over 750,000 bookings a month. As a small company with fewer than 20 employees, Bridget understands the importance of hiring the right people. Here she lets us in to see how she runs the hiring process at YouCanBook.Me, and why she believes that "who you hire will make the single biggest difference to your business". 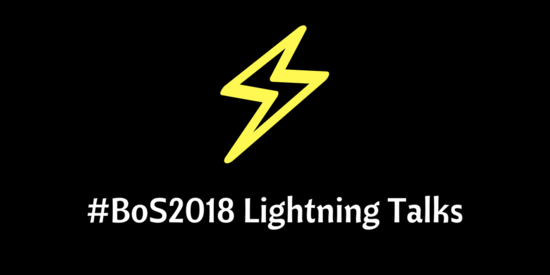 You have until the end of this week to submit your Lightning Talk for #BoS2018. A chance to get on the BoS stage, and make a name for yourself as a speaker. 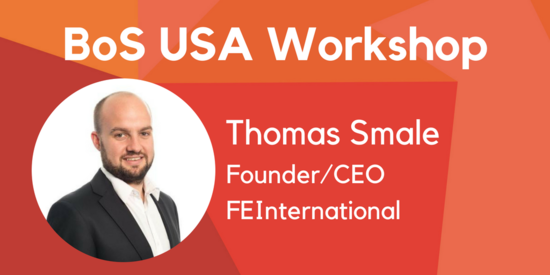 Thomas Smale is the founder and CEO of FEInternational, an M&A advisory company specialising in small-to-mid sized SaaS companies - you may even recognise a BoS Speaker giving a testimonial on their website's home page! Having completed over 550 business sales, Thomas is in a prime position to help you prepare your company for sale - and his advice will help you whether you want to sell tomorrow, or you're planning for your retirement in 20 years time. Find out more about the Workshops at BoS USA below. Do You Make Software That Makes Money? Finally - with less than a month until #BoS2018, now really is the time to save you place. Thanks for reading - speak soon.